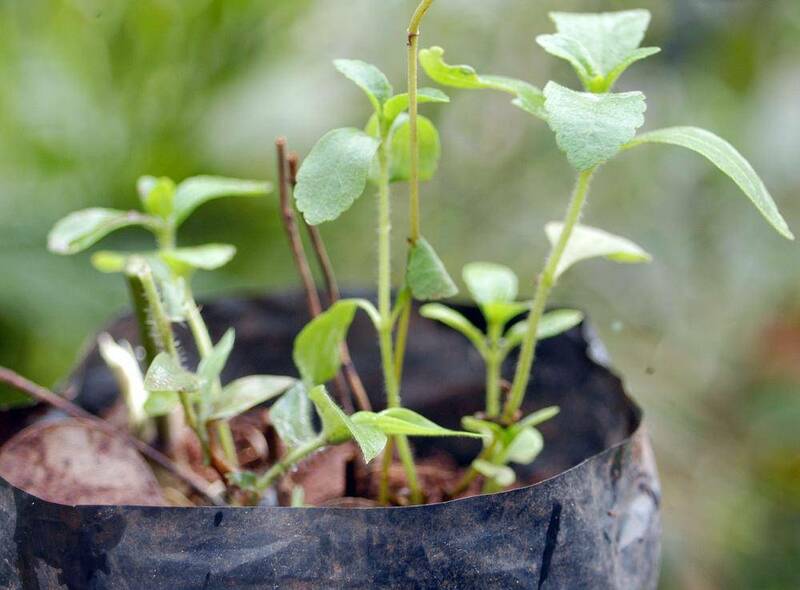 Sweet salvation: Can stevia be food producers' Holy Grail? It certainly doesn’t look like the Holy Grail. I’m standing in the test kitchen at Loblaw’s head offices in Brampton, Ont., sipping from a plastic cup. It contains water flavoured with a herb native to South America that the grocery giant and others in the food industry are hoping will be the answer to their prayers. Food scientists have placed four bottles on the counter for me, each with a different sweetener: sugar, aspartame, sucralose and, in this cup, stevia – the great green hope. For more than two years, the company has been trying to enlist this promising newcomer in its campaign to remove all artificial colours, flavours and sweeteners from President’s Choice, the line of in-house packaged foods sold by Loblaws and its affiliates across the country. The initiative started just after the federal government approved stevia in May, 2012, giving Loblaw and other food producers a mouth-watering prospect: a zero-calorie sweetener that doesn’t sound like it’s a chemical. And what timing: The golden opportunity comes just when public concern about the health effects of sugar is back on the upswing. Recently, the World Health Organization urged people to restrict their daily consumption to no more than 5 per cent of their total caloric intake. Loblaw has to overcome a huge headache: the little matter of stevia’s taste. At a press conference in March, the organization’s head of nutrition for health and development, Dr. Francesco Branco, said that “sugar might become the new tobacco in terms of risk.” But many of those trying to give up the sweet stuff are wary of laboratory-concocted substitutes. So some of the biggest food companies are banking on stevia to attract sugar-phobic consumers who want products that are natural like sugar or honey but without the threat to their waistlines. They want to have their cake and pretend they’re not eating it, too, so the first contender to get this right will have a running start at a highly lucrative market. According to some projections, stevia could account for one-third of the $58-billion global market for food sweeteners some day, with the potential jackpot for products that make use of it truly monumental. But first, Loblaw has to overcome a huge headache: the little matter of stevia’s taste. As I sip, it takes a moment for the sweetness to reach my palate. That delay hasn’t been too much of an issue with some products. 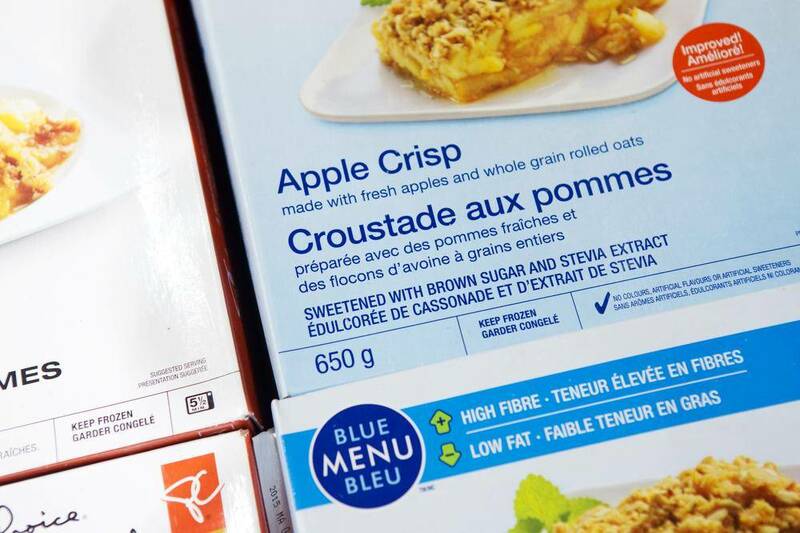 Loblaw’s PC Blue Menu apple crumble, for example. Or yogurt. Its procrastinatory tendencies aren’t a handicap when stevia is bolstered by naturally occurring sugars in fruit. But when it comes to pop, there is not much that is naturally occurring. 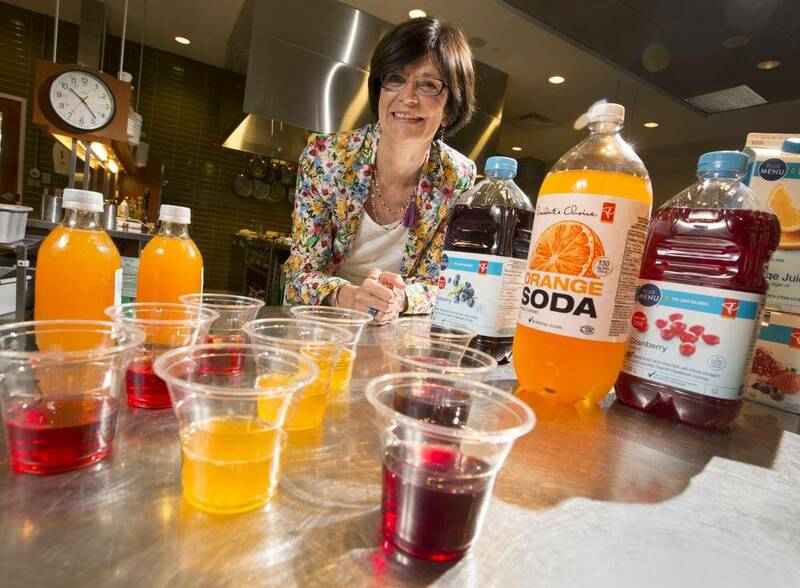 “It’s just water, flavour, essential oils,” says Maria Charvat, the vice-president of food product development. Artificial sweeteners like aspartame are more well-rounded, she explains, but with stevia, the delay is a problem, as is an anise-like aftertaste that some people can detect. She’s right about the initial impact. I sip some Cott orange soda sweetened with stevia. It has an almost savoury note at first – neither a natural orange nor the pleasing candy orange that pop drinkers have come to know. Cola is even worse. Without consistent sweetness, its underlying flavour is “unpalatable,” Ms. Charvat adds. The big soft-drink brands, such as Pepsi (which has its own version) know this. They’ve used stevia only as a half-measure – to reduce overall sugar, not to replace it. In parts of Latin America and soon the U.S. and Britain, Coke is marketing “Coca-Cola Life,” with a green label to signal that it has a combination of sweetening agents. But Loblaw is still reaching for the golden ring, and hopes to launch a stevia-only pop by next year. This is not the first sugar backlash, of course. The last wave hit in the 1980s, and led to a surge in popularity of low-sugar products and artificial sweeteners. Sweet’N Low marketing invited people to splurge without consequence. NutraSweet touted itself as the reason “why so many things taste so good,” using images of athletes to encourage dieters to “look for the swirl” – a red logo on products that included it. Sugar Twin claimed it was “so much like sugar, it could fool you,” and one ad showed a model in a swimsuit eating a strawberry with a big glob of whipped cream. Sugar fear was pushed to the back-burner soon after, trumped in the 1990s by concerns about fat. Welcome to the era of fat-free cookies such as SnackWell’s, low-fat frozen yogurt and anything else that stripped out the fat and compensated for flavour with extra sugar. More recently, those concerns turned to salt. But now, sugar is getting more attention again, thanks to front-page headlines; documentaries such as Fed Up, which blames sugar for the obesity epidemic; bestsellers such as Why Calories Count by Marion Nestle, a nutrition expert at New York University, and Salt Sugar Fat by New York Times investigative reporter Michael Moss. In the past, he says, producers managed health scares by simply replacing one demon with another. But things are much trickier this time around. Consumers have become more aware, for example, of how the low-fat craze steered them toward high-carb foods that sabotaged their efforts to eat better. And their response to sugar concerns has changed as well: It’s no longer enough to hand them a pack of Sugar Twin or soda sweetened with aspartame. Along with a fear of sugar, now there is the fear of too much science in our food. Conflicting reports on whether aspartame is dangerous, for example, and questions about whether genetically modified foods are safe to eat, have freaked out consumers. Meanwhile, organic foods, locally sourced ingredients, and a skepticism over factory farming have all come into vogue. Writers such as Michael Pollan, the award-winning author of The Omnivore’s Dilemma, have helped to instill the idea that the best way to deal with the conflicting information and ever-changing scientific findings on nutrition, is simply to eat real, natural food. Many confused, exhausted consumers have seized on this as their modus operandi. At Cargill Inc., they have a name for consumers like this: “naturally splendids.” It’s shorthand at the food giant (that Forbes magazine says is the largest privately held corporation in the U.S.) for a growing group of customers – about 36 per cent as of 2012 – concerned about where their food comes from and also looking to manage their caloric intake. They’ve been using honey or agave instead of artificial sweeteners, but those options do not solve the problem of calories. These are the consumers who led Cargill, also a producer of sugar and high-fructose syrup, into the stevia business, launching Truvia in the U.S. in 2008, and later expanding to nine countries, including Canada. Just as Loblaw is emphasizing stevia’s naturalness by marking its products with a green leaf, natue is the cornerstone of Truvia’s marketing strategy. For the product launch, Cargill built a greenhouse with thousands of stevia plants at Rockefeller Centre in New York. Visitors were given lemonade and chocolate made with Truvia. They also were encouraged to pick a leaf and taste it themselves. For the product’s British launch in 2011, Cargill went a step further: It created a lake on the rooftop of a Selfridges department store in London, with a waterfall and 8,000 stevia plants on the shoreline. The public was invited to boat across to the plantation and bite into a leaf and try a stevia-sweetened cocktail. So far, the strategy is working. In just a couple of years, Truvia has become the number three sugar substitute in Canada after Splenda and Sugar Twin, with 6.6 per cent of the overall market and 38.8 per cent of sales among stevia sweeteners. In reality, there is plenty of processing that must be done to a stevia plant to extract compounds that taste sweet. These processed, concentrated extracts are referred to collectively as steviol glycosides by Health Canada. Rebaudioside A, for instance, is one common extract used by food companies, but it’s not a word you’ll often see on any product labels. In marketing terms, hard-to-pronounce Rebaudioside A does not convey the herbal purity that companies such as Cargill are pushing so heavily. And while Health Canada reviewed many animal studies on the health effects of stevia before giving it the green light, some scientists believe the approval was premature. “All the studies that should have been done have not been done,” says Lisa Lefferts, senior scientist at the Center for Science in the Public Interest, based in Washington, D.C.
David Jenkins, who holds a Canada Research Chair in nutritional sciences at the University of Toronto, says he has come across no disturbing data linked to stevia extract, but agrees more research is needed. “The literature is not replete with good randomized, controlled trials on stevia use in cardiovascular disease, stevia use in cancer patients, stevia use in diabetes,” he says. As for pure stevia, the leaves may be a good marketing tool, but neither Health Canada nor the U.S. Food and Drug Administration have approved whole-leaf stevia plants as food additives. The FDA highlights studies that “raise concerns” about the effect of stevia leaves on blood-sugar levels as well as the reproductive, cardiovascular and renal systems. Some experts warn that increasing reliance on any sugar alternative is not a good idea for long-term health. Many studies have shown that people who use them end up consuming more calories, perhaps because the body doesn’t recognize or process them the same way as sugar-sweetened foods. And there is another, potentially bigger problem: the rivals are often more intensely sweet than sugar. By offering up the chance to crowd our palates with more of what we crave, without consequences, these products have nutritionists concerned that we find it more difficult to eat what’s best for us: namely, vegetables. “What this has done is taught us, especially kids ... to expect sweetness in everything we eat,” Michael Moss says. There are also some things that other sweeteners can’t replace. “I could go on and on” about sugar’s usefulness, says Andrew Gugula, a Loblaw product developer. 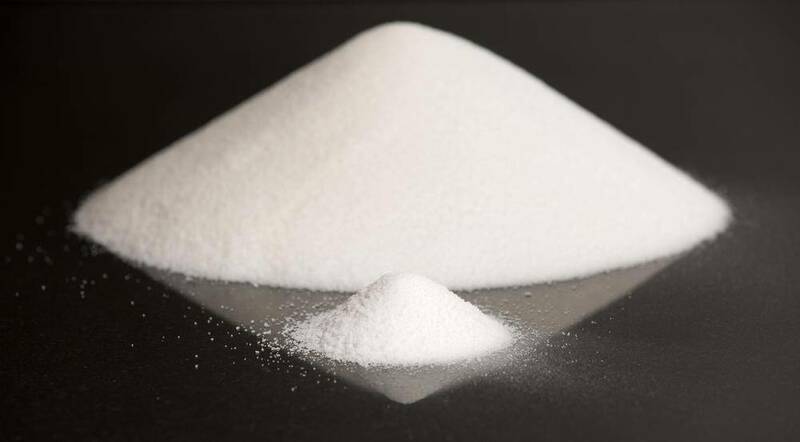 Because sugar contains more solids, it has a fullness of texture that is unmistakable. Back in the Loblaw’s test kitchen, when I sip on the water sweetened with aspartame or with stevia, it’s pleasing, but thin – sweet, but not scrumptious. “That’s the addiction,” Maria Charvat says, but consumers who want to spurn sugar’s devilish wiles have been able to train themselves in the past. Stevia is derided for the anise-like residue, but aspartame also was thought to have an aftertaste at first, and the calorie-conscious still lapped up their Diet Coke, making it second only to Coke Classic as North America’s top-selling soft drink. Ms. Charvat and her team believe that people will do the same with stevia, if they can get the formula right. And in focus groups, she says, consumers are clear: They don’t want ingredient lists filled with unpronounceable words, but they do want all the pleasure of sugar with no consequences (or calories). It certainly sounds like the Holy Grail, as Cargill’s Mr. Brooks put it. Or maybe the food companies are chasing a unicorn, a sweet fiction. It would be far better to sell consumers on the truth: that they have to eat less stuff that tastes like candy and grab some Brussels sprouts. But that would require upending the message on which all marketing is based – and admitting that people can’t have everything they want. Susan Krashinsky covers advertising and marketing for The Globe and Mail’s Report on Business. She wrote this story with files from Globe Life health reporter Carly Weeks.